I reported in the last Lion’s Roar that the City Manager was going to present the options on Waste Management’s expiring contract to Council in December. At the December 5, 2017, City Council meeting, Council opted to follow staff’s recommendation to award the new contract to Tiger Sanitation, beginning January 1, 2018. Tiger has now delivered large recycling and garbage containers (2 per household). The pickup of garbage/recycling will be on the same day Waste Management (WM) picked up both recycling and garbage last year. For example in Forest Oaks we had Wednesday pickup for both services and that will also be the day for Tiger’s once a week pickup. Tiger’s bid for one- recycling/ one- garbage pickup per week was lower than WM’s. Tiger’s low bid is $17.00 plus tax for a 95 gallon container, or $16.75 plus tax if you prefer a 65 gallon container for garbage. You have until March 31, 2018, to opt in for this sized container. Folks who were not able to attend the applicable city council meetings or two Saturday workshops on this issue may not have known that WM’s contract expired on December 31, 2017. The city went out for bids in September. For WM to continue the two-garbage, one-recycling service, this would have cost the homeowner $20.37 plus tax which is up from WM’s former rate of $15.76 per month (with no containers). The garbage contract and citizen preferences were discussed at the April workshop and the majority preferred one-recycling/one-garbage pickup. 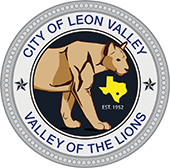 This service mirrors the service in the Leon Valley Ridge subdivision (which has had one-garbage and one-recycling pickup in place since 2014, with Leon Valley receiving no complaints), as well as the City of San Antonio and other municipalities in the metroplex. The service will be kept at $17.00 plus tax per month for two years, then increased annually by the Consumer Price Index. You will no longer have to pay a monthly charge for your containers. Tiger was chosen over WM because their bid was lower for not only residential but also most commercial services. A resident can also leave out 4 additional bags of trash either in bags or old containers. Tiger manager Lee Kuhn texted: “If a resident chooses to place a bag or personal container at the street without a cart, we will still pick it up. However, the use of the carts help to minimize inadvertent litter from bags being damaged by animals or weather.” Tiger has also purchased new, more efficient garbage trucks and scored the highest in an industry rating for safety. The twice a year bulky pick-ups in the Spring and Fall will continue with Tiger. Dumpster Bags (for large volumes of waste) is a separate service offered by Tiger and is still available for a separate charge. Unfortunately, WM did not communicate the change in providers to their billing department and sent their 1st quarter bills out before Christmas. Many residents assumed from the bill that WM was willing to continue at the same rate; but the bill received did not show WM’s increase in March ($17.81), after a two month transition period at $15.76. WM will refund any 1st quarter payments. Tiger delayed its billing for 1st quarter 2018 until the end of January so citizens could receive their refund back from the former company. If you have a problem with your refund, call Waste Management at 1-800-800-5804. Any LV citizen may contact Tiger’s local customer service team at (210) 333-4287 with questions or concerns or email the team at LeonValley@Tiger-TX.com. Change is difficult, especially with garbage service. This decision was made by council and staff in light of all the evidence in the best interest of our citizens. Let’s give Tiger a chance to deliver great customer service. They want to be part of our community by supporting our community-wide events, including donating community service hours to help beautify and clean up our city.